Adaptive behaviour is a crucial area of assessment for individuals with Autism Spectrum Disorder (ASD). 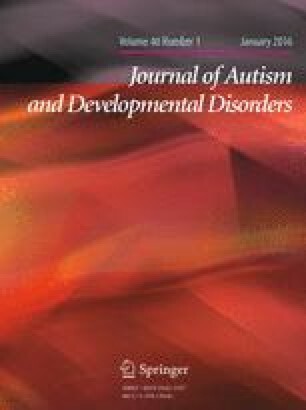 This study examined the adaptive behaviour profile of 77 young children with ASD using the Vineland-II, and analysed factors associated with adaptive functioning. Consistent with previous research with the original Vineland a distinct autism profile of Vineland-II age equivalent scores, but not standard scores, was found. Highe st scores were in motor skills and lowest scores were in socialisation. The addition of the Autism Diagnostic Observation Schedule calibrated severity score did not contribute significant variance to Vineland-II scores beyond that accounted for by age and nonverbal ability. Limitations, future directions, and implications are discussed. The authors thank the AEIOU Foundation for providing data and all the families who completed questionnaires as part of a larger AEIOU evaluation project. We would also like to thank the three anonymous reviewers for their helpful feedback and suggestions on an earlier version of this manuscript. SY was responsible for data analysis and interpretation as well as drafting the initial manuscript as part of her Masters in Educational Psychology studies. JP and LG provided supervision to SY. JP made substantial contributions to the conception and design of the study, as well as data collection, and assisted in interpretation of data analyses, preparing the manuscript for publication, and finalising the manuscript including revisions following peer reviews. LG made substantial contributions in study planning, preparation of gatekeeper approvals, manuscript preparation, and revising the manuscript critically for important intellectual content including responding to peer reviews. All authors read and approved the final version of the manuscript for publication.